Invincible Gem (right) has ended a run of outs to beat Daysee Doom in the Emancipation Stakes. The experience of Corey Brown has proved the difference in the Group Two Emancipation Stakes with his aggressive ride helping Invincible Gem make an overdue return to the winners’ stall at Rosehill. It was the second leg of a race-to-race double on Saturday for the jockey who led all the way on the Gwenda Markwell-trained Angel Of Truth to snare the Tulloch Stakes 40 minutes earlier. Having quickly summed up how the heavy track was playing in the opening races, all won by leaders, Brown made sure he was positive out of the gates on Invincible Gem, settling her on the speed. It proved a masterstroke, with Invincible Gem ($8.50) able to get the better of Daysee Doom ($5) to score by a neck with Noire ($5.50) another two lengths away third. “Today, I rode the track more than the horse,” Brown said. With trainer Kris Lees in Dubai to oversee Brave Smash’s bid in the Al Quoz Sprint, stable representative Lucas Miller said it was great to see Invincible Gem return to the winner’s list for the first time since the 2017 Missile Stakes. 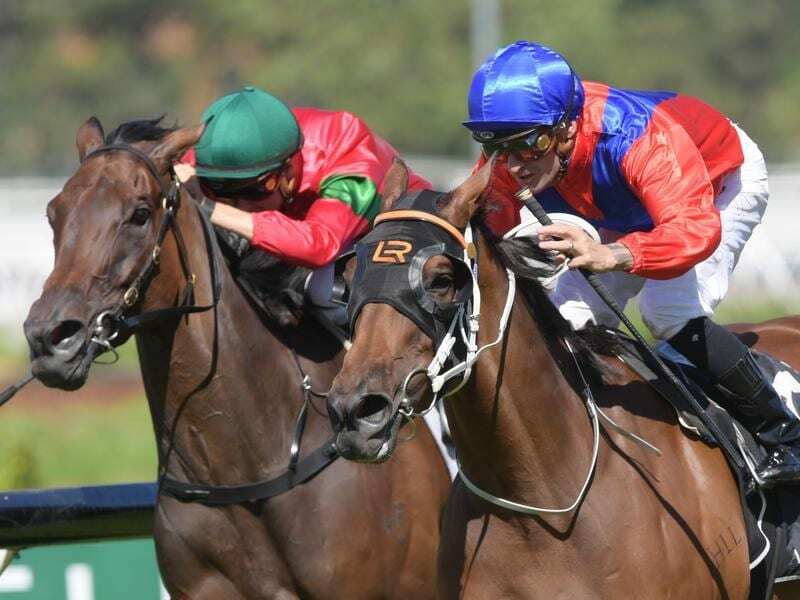 The mare has raced without luck at her past couple of starts but the stable was confident she was going well enough to win Saturday’s 1500m-race. “She’s always drawn a bad gate and had some bad luck but always run well,” Miller said. “The riders have always suggested she’s going well within herself, it’s just the results on the board haven’t been there to prove it. “She’s a tough mare and deserved that win today. Miller was unsure of Lees’ plans for Invincible Gem but said the Group One Coolmore Legacy Stakes (1600m) at Randwick on April 13 was a possibility. Stablemate Princess Posh settled at the back of the Emancipation Stakes field and was never in the race while favourite Dyslexic also disappointed after racing handy to finish fifth.